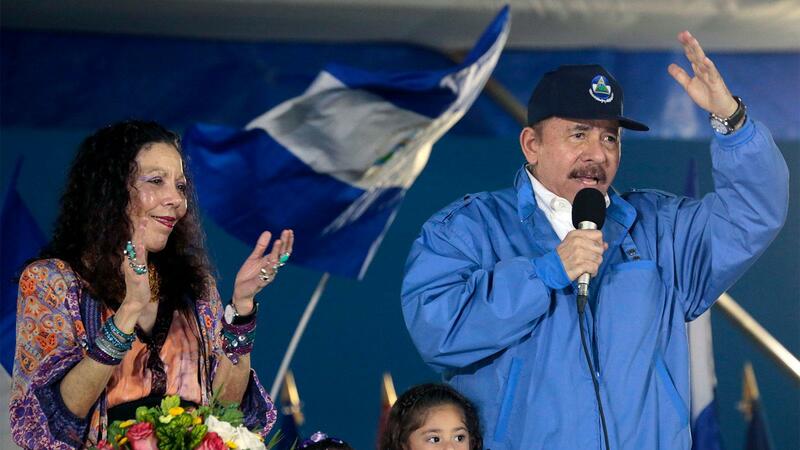 Nicaraguan Vice President Rosario Murillo and President Daniel Ortega speak to supporters in October. President Trump has signed an executive order sanctioning Rosario Maria Murillo De Ortega, the vice president of Nicaragua, as well as national security adviser Nestor Moncada Lau, after months of violence and unrest in the Central American nation. Violence erupted in Nicaragua in April when the Ortega Administration announced sweeping changes to the country’s social security system, sparking protests and a brutal crackdown. According to various news reports, more than 350 people have been killed in the violence. The sanctions prohibit Murillo, who is the wife of Nicaraguan president Daniel Ortega, and Moncada from conducting business with the U.S. and from removing any assets they have here. The move does not appear to have any impact on cigar shipments from Nicaragua, the world’s leading producer of handmade cigars. In 2017, it shipped 148 million cigars to the U.S., 45 percent of the 330 million shipped that year, more than any other producer. Cigarmakers reached today said they do not expect the sanctions to have any impact on their business. “We don’t see a concern right now,” said Rocky Patel, who makes many of his cigars in Nicaragua at his TaviCusa factory. While there was a time earlier in the year when roadblocks and protests made shipping problematic, he said that business has been operating as normal for some time now, with materials coming in for cigarmaking and cigars leaving the country. Shipments of Nicaraguan cigars have remained strong throughout 2018 despite the violence. In the first three quarters of 2018, shipments were up nearly 14 percent over 2017 levels.